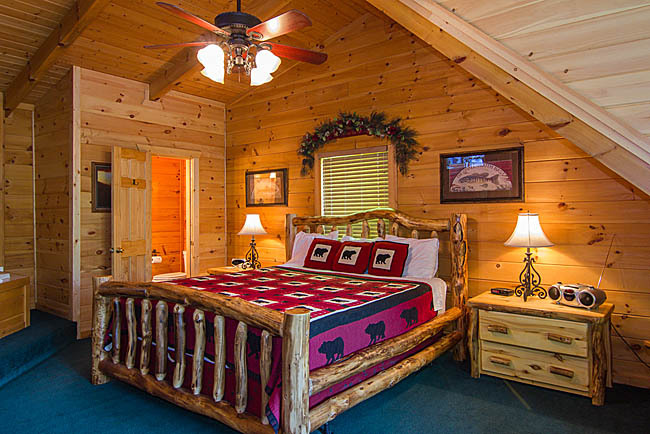 Beautiful Aspen Log crafted King size bed. 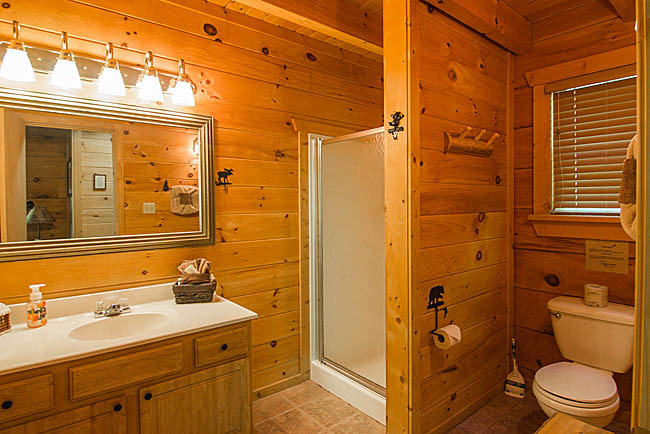 Country Dreams Log Cabin. 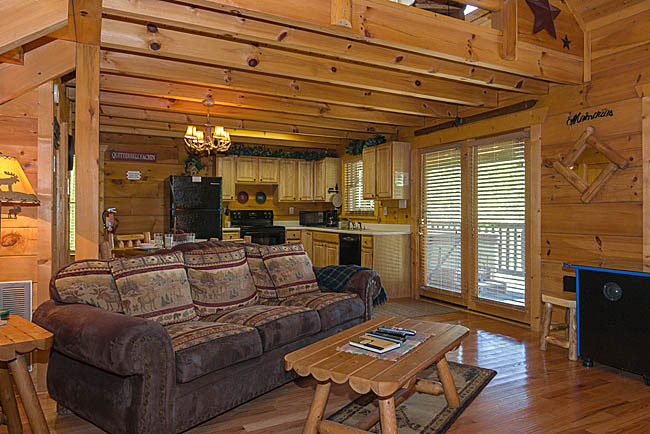 If you are looking for a special place for relaxing, honeymooning or just getting away, then this is the place for you. 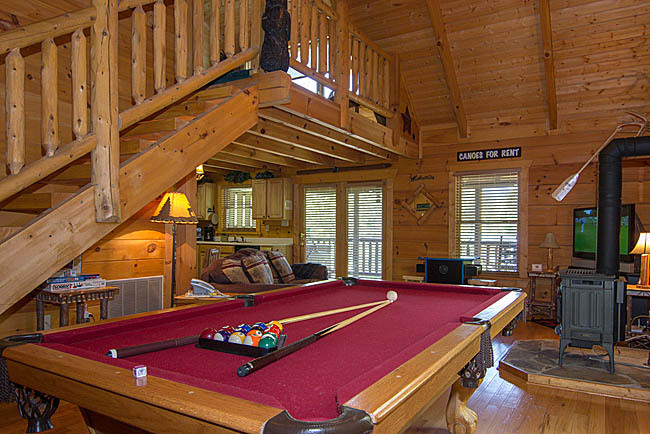 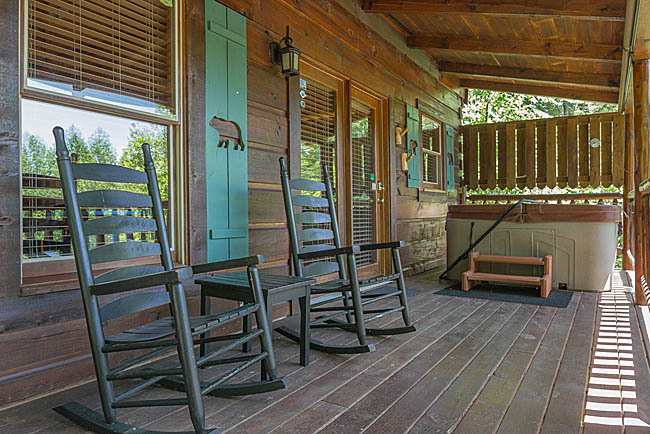 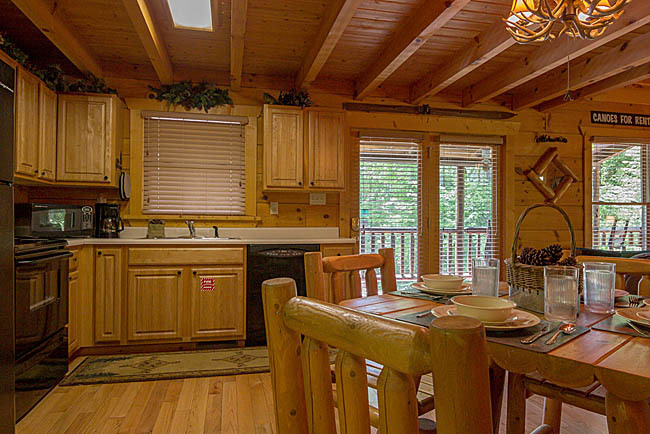 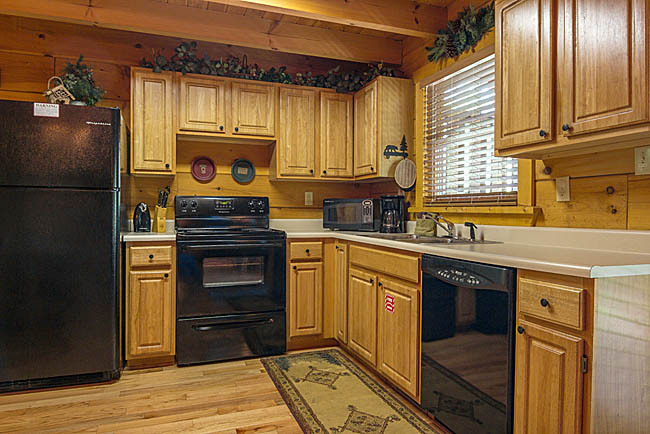 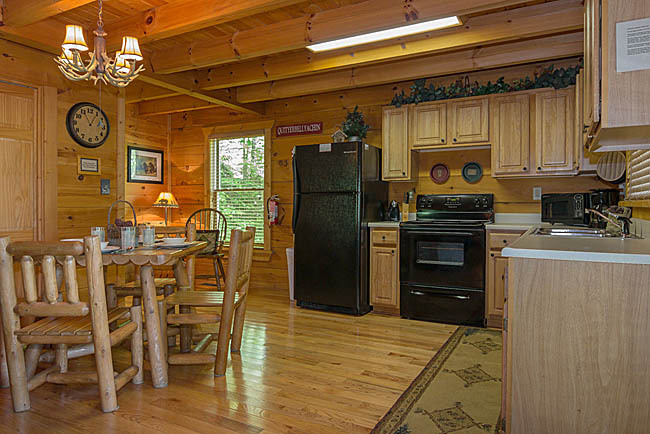 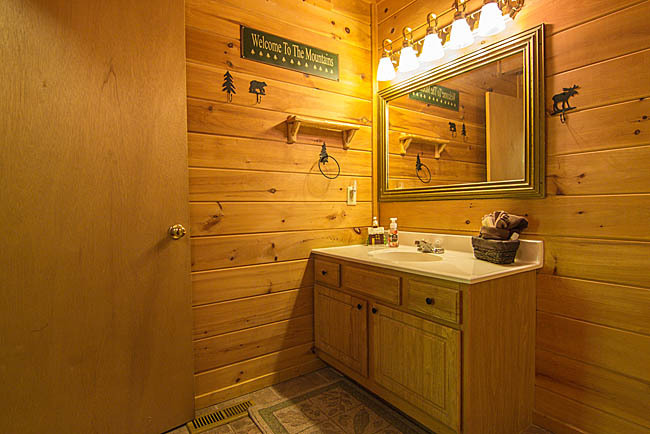 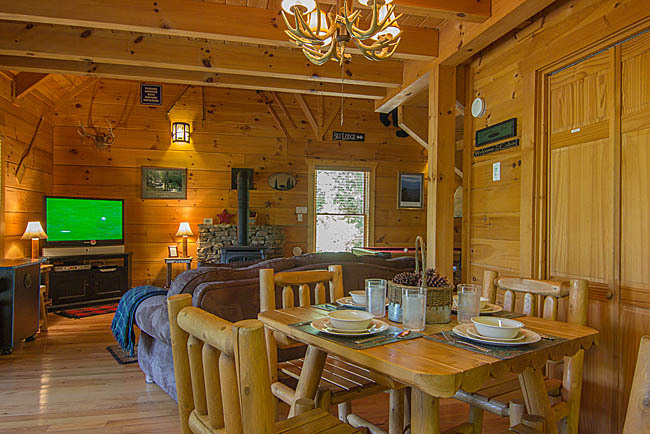 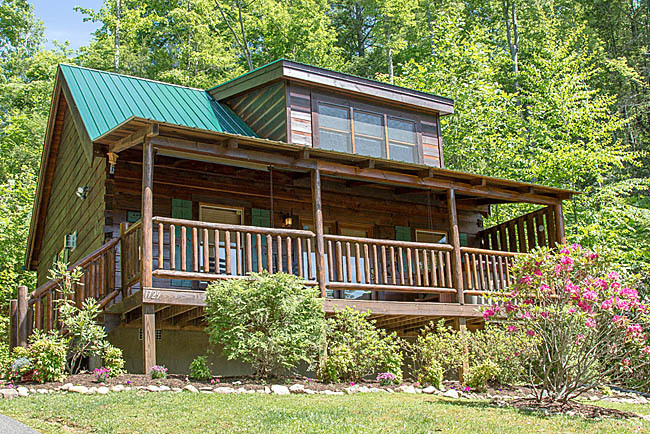 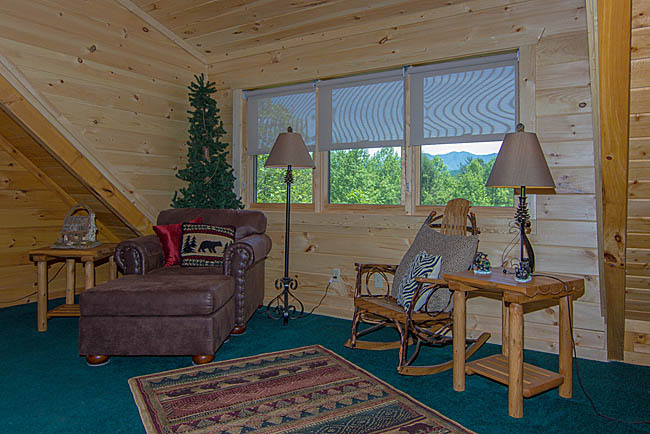 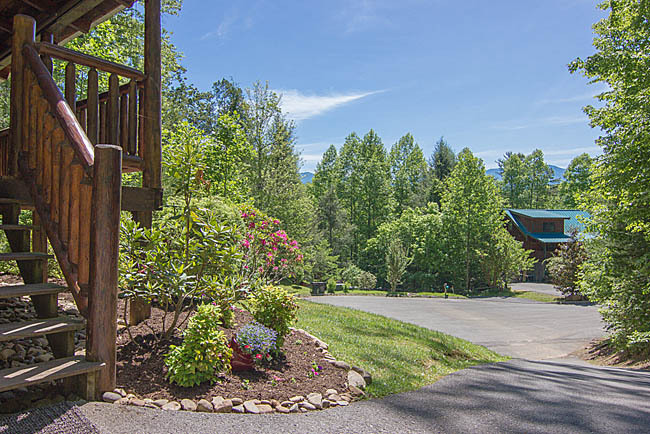 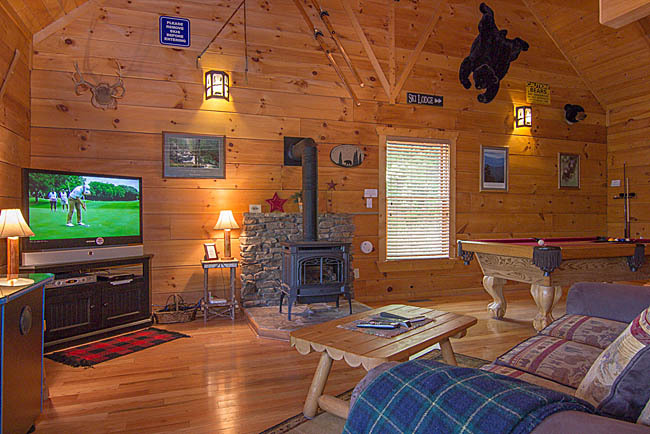 Country Dreams is conveniently located in east Gatlinburg near the Arts and Crafts Community and just minutes to downtown Gatlinburg the New Smoky Mountain Sports Multi-Plex Center and nearby Trolly Stop. 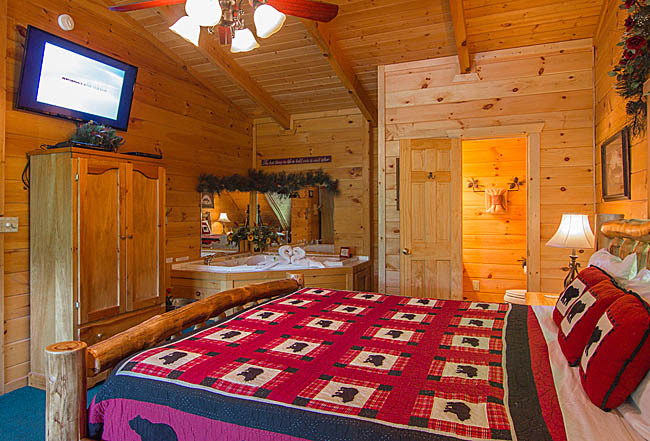 A large king Aspen Log bed and tasteful oak log furnishings throughout are the perfect compliment for your Log Cabin adventure. 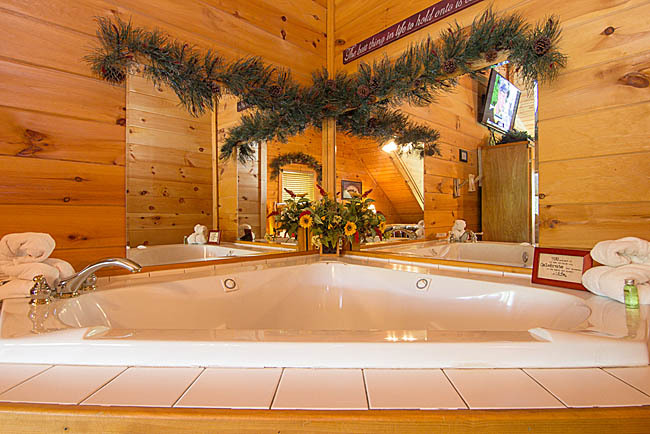 A whirlpool tub and full bathroom completes the bedroom loft along with a 32" TV. 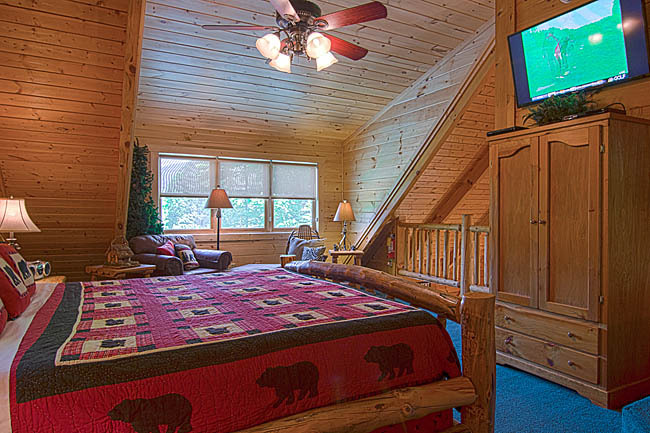 The entire lower level includes plenty of entertainment including wireless internet, 42" Flat Screen LCD TV, pool table and fireplace to keep you warm. 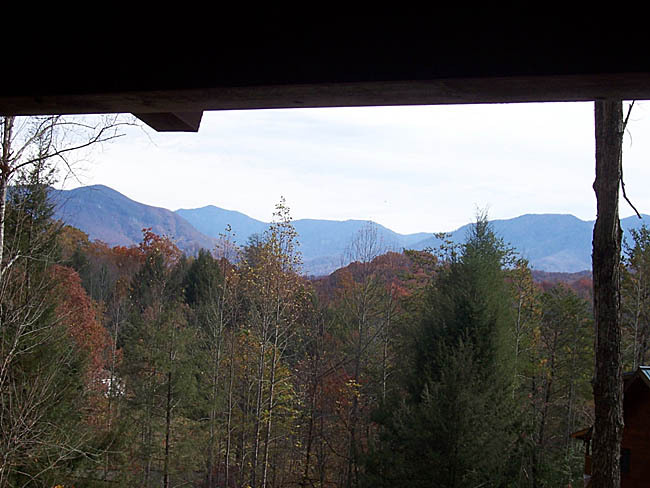 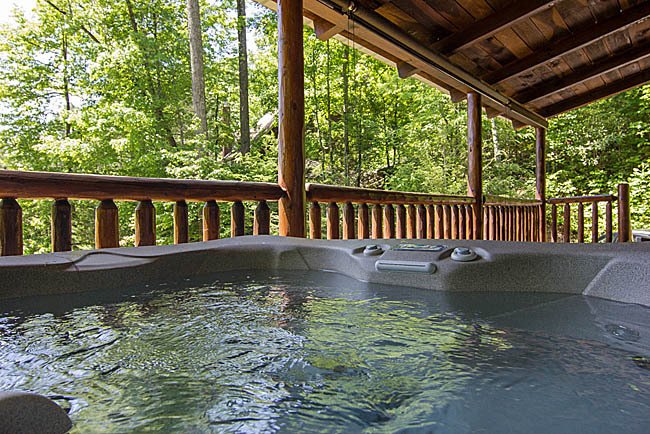 You'll love the view from Bearskin Romance and the added convenience to the Gatlinburg Community Center and New Sports Center for sports enthusiasts.